NEW DELHI:India’s own smartphone operating system Indus OS has today announced its first international brand partnership with itel Mobile, India’s 2nd largest mobile brand by market share. The partnership will see Indus App Bazaar on a majority of new itel smartphone devices. The first itel smartphone with integrated Indus App Bazaar is expected to be launched this quarter. Launched in India in 2016, itel’s aggressive strategy has seen it become the #2 player in the country within a year, as well as emerging as a strong Smartphone brand in the country. Through the partnership with Indus OS, itel Mobile is looking at introducing software differentiation in the Indian smartphone market, something which it believes holds the key to future success. With its first international smartphone brand partnership with itel Mobile, Indus will look to grow its user base of 8 million at an accelerated pace by leveraging itel’s robust market presence and consumer appeal. Consumers buying itel smartphones with the Indus App Bazaar will also benefit from value-added propositions of the smartphone ecosystem in regional languages. “itel Mobile is undoubtedly one of the top performers in the Indian mobile phone industry this year. It currently occupies the second spot amongst all mobile brands in the country and is looking to build on its impressive growth story within the next one year. Partnering with such a prominent international brand is a moment of great pride for us. As we look to offer the Indus experience to wider audiences, our association with itel takes us a step closer towards our goal of reaching a user base of 100 million by 2020,” siad On the partnership, Rakesh Deshmukh, Cofounder and CEO of Indus OS. “Thanks to our in-depth knowledge of the Indian smartphone ecosystem, we have tailored our platform to suit the specific requirements of Indian consumers. This localised focus is something which itel users will benefit from, especially since our platform is built specifically to tackle the most common pain points of the country’s smartphone users. The partnership will give itel the capability to almost instantaneously roll out a localised, simplified, and intuitive Indian experience with its smartphone offerings,” he added. “Since our launch in India, we have set several benchmarks and created major disruptions in the country’s mobile phone industry. A large part of this success has been our focus on providing relevant, high-quality offerings to Indian consumers through in-depth glocalisation. 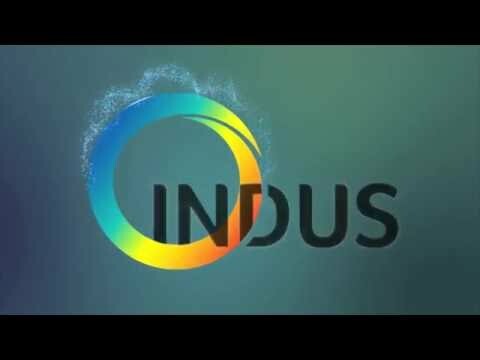 Our association with Indus OS is another step in this direction. It is currently the only smartphone platform in India to support 12 different regional languages and has been developing more features designed to meet the requirements of Indian users. This market-specific focus offers a truly unique user experience and will help us in adding another layer of personalisation for itel customers across the country. We are confident that the integration of Indus App Bazaar into our strong product portfolio will enable unparalleled differentiation for itel products, and will serve to make our smartphone offerings even more relatable to the end-consumer,” said Commenting on the partnership, Sudhir Kumar, CEO – itel Mobile India. Itel Mobile partners with Indus OS 0 out of 5 based on 0 ratings. 0 user reviews.